Orange, CA, July 26, 2011 — Coastal Innovative Products, Inc., manufacturer of Lanai Doors™ (a California corporation) ("Lanai Doors"), today announced receipt of their Notice Of Acceptance from Miami-Dade County for Lanai’s top-hung hurricane aluminum folding door and window systems. Lanai Doors™ hurricane systems have an overall rating of DP-70 (165 mph winds) and can fill an opening up to 48-foot wide and 8-foot tall. "I am very excited to be entering the Florida hurricane folding door market," stated Shelly Johnston, President. "Initial reactions from Floridians to our DP-70 rated Made in America and competitively priced hurricane products have been very positive. Miami-Dade is our first step in transforming the North American hurricane folding door and window market," she said. 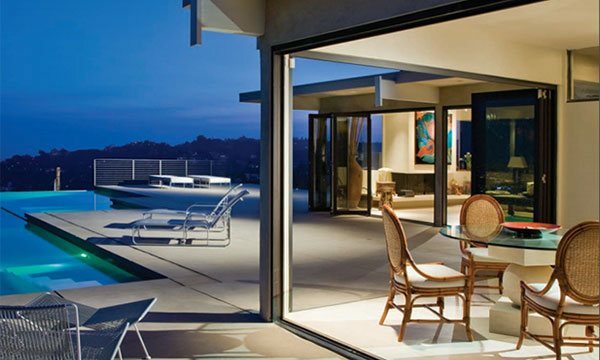 Manufactured in southern California, Lanai Doors™ sells their products directly to customers throughout North America. Their TAS and ASTM test results provide Lanai Doors™ with aluminum hurricane certified products with hundreds of alternatives (80 outswing and 80 inswing top-hung configurations; up to 16-panel systems; 3-0/8-0 panels or smaller; high efficiency dual glaze glass with large & small missile impacts; three thresholds; and more). 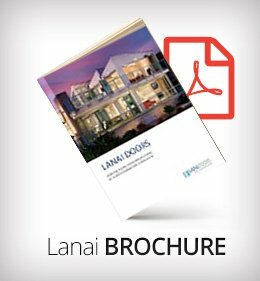 Lanai Doors™ standard threshold folding systems tested at even higher levels than their overall rating (+DP-100/-DP-80 and cycled at DP-90). Centor managing director Nigel Spork said he was thrilled to partner with Lanai. "Lanai has once again proven their reputation as a leader in the folding door industry," Mr. Spork said. "Their doors are truly outstanding to achieve such a high hurricane rating, and we are very proud they are moved by Centor E3 hardware," he said. 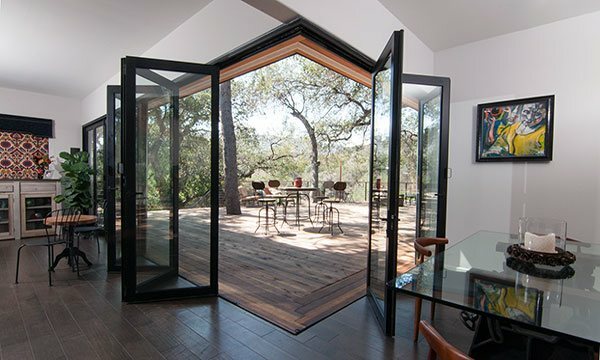 Lanai Doors™ also manufactures folding door and window systems with wood and clad panels. Non-hurricane systems can be built up to 52-foot wide and 12-foot tall, zero-post corners, doorwindow combinations, integrated stationary sidelites and internal systems without bottom guides. Lanai Doors™ has shipped residential and commercial systems throughout North and Central America including the United States, Canada, Mexico, Costa Rica and many Caribbean Islands. All Lanai folding systems can be ordered with a custom sized Centor S1 screen which can cover up to a 24-foot wide by 10-foot tall opening.